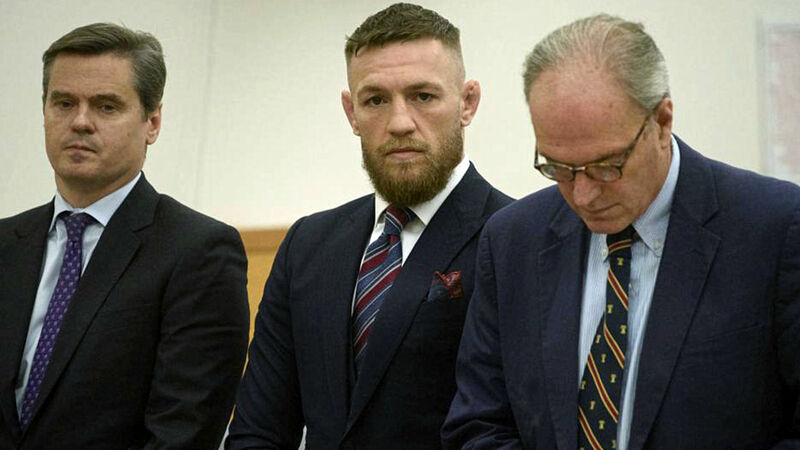 Conor McGregor pleaded guilty Thursday to disorderly conduct as part of a plea deal with the Brooklyn District Attorney’s Office. The former UFC featherweight and lightweight champion was arrested in April after he threw a dolly through a bus window inside Barclays Center prior to UFC 223. He was initially charged with misdemeanor assault and felony criminal mischief. McGregor was sentenced to five days of community service and ordered to attend one to three days of anger management training. In addition, UFC employee Jason Ledbetter and UFC fighters Michael Chiesa and Ray Borg, whom McGregor injured in the incident, were granted orders of protection against McGregor. With a resolution now in place, Sporting News asked Dmitriy Shakhnevich — a Brooklyn criminal defense attorney who argues cases in the New York State Supreme Court building where McGregor made his plea — several key questions surrounding the case. His answers are below. SPORTING NEWS: Was this the best possible result for Conor McGregor? DMITRIY SHAKHNEVICH: In terms of the result, Conor was charged with several felonies. Those are very serious crimes in New York state (crimes for which one can be imprisoned for over one year). Conor was also charged with several misdemeanors (crimes for which one can be imprisoned for one year or less). Obviously, the latter are less serious. But the end result, meaning the plea deal, allowed him to plead guilty to a violation. That is not a crime at all, so Conor won’t even have a criminal record now, let alone be imprisoned. That’s why this result was the best possible one for all practical purposes. SN: Did he get off easy because he is a celebrity? DS: I’m not sure he got off easy because of his fame. Brooklyn prosecutors are generally fair people and they saw that nailing Conor to the wall would do no good. It would serve no criminal justice purpose, so that is likely why they offered such a deal. In addition, again, while felonies are serious, he was only charged with the least serious ones (Class D and E felonies), so while this is a great deal for him, it’s not entirely unheard of that one would be presented with this kind of offer. SN: How does this affect future civil litigation? DS: If/when civil cases are commenced against Conor, he will have a hard time defending them. Because he admitted guilt (in some form) in the criminal case, that will be hard to dispute in the civil case. This is because the standard of proof in a criminal case is “beyond a reasonable doubt” as opposed to “preponderance of the evidence,” as in a civil case. So, because he admitted guilt in a case in which the standard of proof is higher, that can be used against him in the case where the standard of proof is lower. SN: What does this verdict mean for his fight career?